With YOU as the HERO, stories like these, sad but true, can have happy endings. Once upon a time there was a beautiful dog named Snow White who lived a free roaming life in a rural area near you. 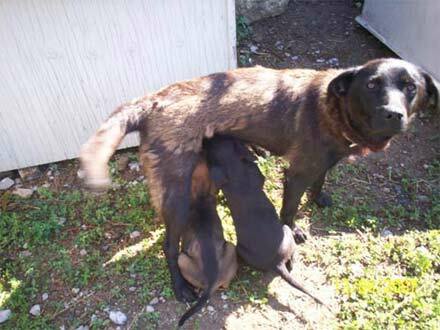 Through no fault of her own she repeatedly produced litter after litter of puppies. 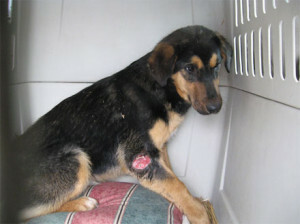 Unable to provide nutrition in her milk and the natural immunity to disease many of her pups ended up like sickly little Gem. Due to proper medical intervention sponsored by heroes like you, today Gem is a healthy and happy girl and her mother, Snow White, no longer endures the heartbreak of bearing litters of sickly puppies. 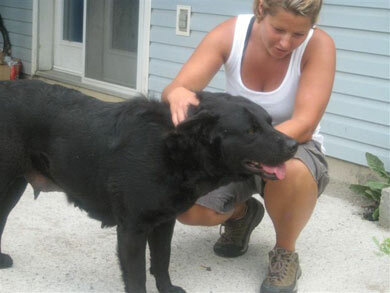 Large breed mixes are the norm and large litters of 10-15 pups are not uncommon. 1/3 will starve before they reach 2 weeks old due to the mother’s lack of ability to feed them all. With no other way to control puppy numbers, the mothers are tied and not fed; this dries their milk and starves the pups. 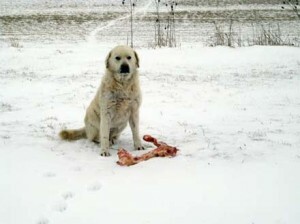 Food is scarce in the winter. Fights occur daily in overpopulated areas, increasing aggressive incidents and prompting culls by inhumane methods such as mass shootings. Stray pups are often riddled with disease. This puppy died from a virus even with rescue intervention. 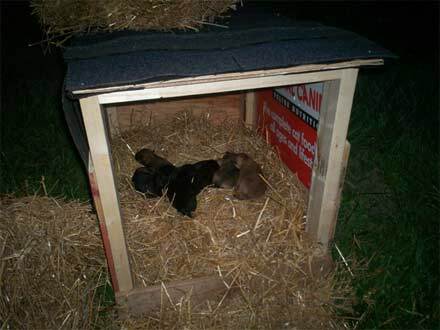 The majority of pups are born without any shelter or bedding. 3/4 of the litter won’t survive the parasites, temperatures and predators. 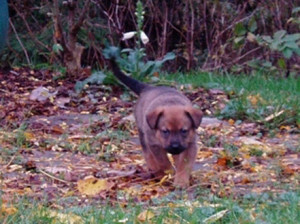 Losing the pups affects the female dogs behaviourally and emotionally. This dog was tied to a tree to keep him from roaming in search of females in heat. 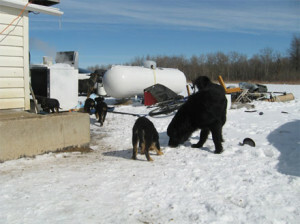 The rope tightened for months and sawed a trench in his neck.Educating that neutered male dogs are less likely to roam, fight, or become aggressive towards humans, will save countless dogs from this fate. Female dog shot to prevent her from contributing to the dog population. Shooting is a common yet ineffective way of trying to control the overpopulation of stray dogs. 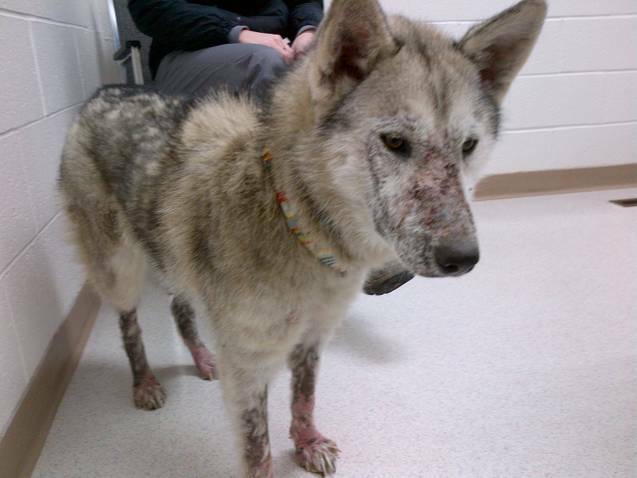 This dog has had litter after litter of sickly young. 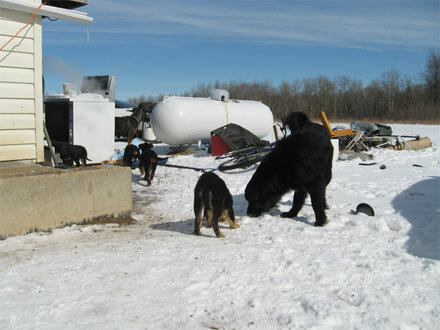 The pups that do survive spread terminal illnesses to the surrounding area dogs. 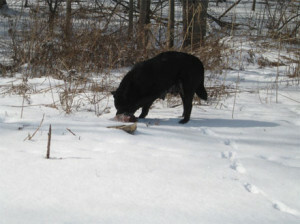 Snow White, hunting for nourishment to keep her, and her litters, alive. 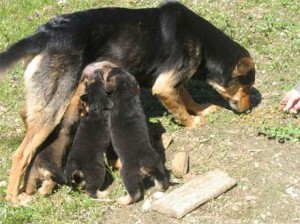 Stray mother dogs move their pups from place to place in an attempt to find shelter, food, safety. 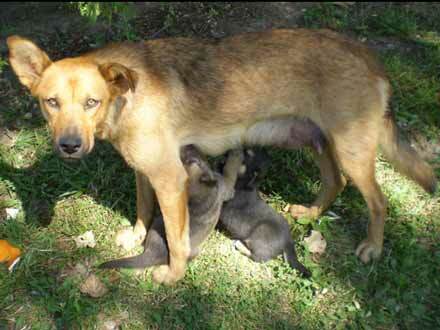 This mother was fortunate enough to find a sympathetic family who allowed the pups to stay under their back porch but she was still forced to hunt for food and defend the pups from roaming male dogs.